These look like a good build. I’m assuming the sound quality is excellent? £85.66 brand new on Amazon, seems a good price for B stock? Good price on retail, but don't get the best reviews. I think they are returns or end of line items. I have bought from them before and what turned up looked brand new. What doe's their B-Stock mean? I can't find any descriptions as to why they are classed as B-Stock. I didn't know that. Probably would have led with the wired ones in that case! Thanks for posting the code. I ended up going in on the 1000x mk3 Sony from amazon (265) and can pay in installments which takes the edge off. Would still like to hear these to compare. Looking forward to a silent Easter! If I were you I'd try it first. I couldn't comprise that much just for the sake of convenience, the difference was pretty stark and the wires aren't a major inconvenience for my usage. Seriously the wired headphones are very special, the wireless ones are pretty run of the mill. No they don't sound the same when wired either. I wanted this to be the case but it really wasn't. You can't have the best of both worlds without owning two pairs of 'phones.. Yes that would make sense, you wouldn't get the horrible hair pulling grippyness through the beanie. I just can't figure out what was going through the designers head when they added that material! To be honest with the gym I always wear a beanie as I hate sweat on my ears. That's for all headphones so maybe if feels more comfortable like that. I don't understand how you could describe these as comfortable! The material on the underside of the headband feels like a rough rubber. Super grippy, feels horrible particularly when putting them on if the band rubs even slightly along my head. I literally have never seen a pair of headphones with this type of material, it's horrible. Sound quality is decent, build quality aside from the above is good. Noise cancelling is trash. I think you maybe right, I can’t find the link from the main website to the outlet that was available before. I managed to buy in the outlet before xmas and get 9%. Worth a try if you can get the cash back. In terms of passive isolation, how do these compare to the HD 280? I ordered these the last time deal was posted. Arrived looking brand new, but had to return as no sound came out of one side. Returns and refund were quickly dealt with, but I have been put off rebuying from them. Audiophile grade, now there's a line in the sand nobody can point to. I love my pair, but don't try to use them for a call outdoors, there is terrible wind noise even if there is no wind! Cold. I paid £134 for brand new,June last year. I've reseated the plugs and tested the locking springs but I've not tested a completely new cable. It's only on certain mid-bass frequencies. They are 19 years old with original drivers so something was due to fail. They need new pads, new scrims, the locking pins on the right definitely need replacing, the top headband is cracked in 3 places, the cable is tatty and both drivers have slight crinkles in the driver diaphragms. After replacing all of that I could buy these for less. But my new Beyerdynamic DT1990 are incredible. so much more detail and bass extension and the treble is better balanced and less recessed than the HD600. I just wish they were as light and comfortable as the HD600. Are you in the US or UK? 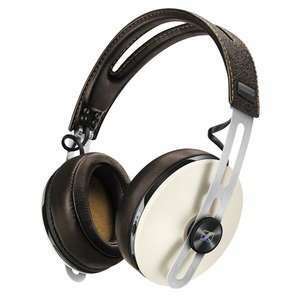 Im thinking about getting the 6XX too but worry about custom fee. How much do u have to pay for the custom? You're probably very right about what you say, but most people that buy HD650s probably won't be dropping £10k on amps and DACs and turntables. If I could afford that level of equipment, I wouldn't be listening to it through 650s, as excellent as they are. I'm using HD630s and ie80Ss through a Dragonfly Red and UAPP via Tidal hifi, that's as good as I need (y) . Used to have HD600s through a Graham Slee Solo, that was lovely, but sold them on, stupidly. Wow. Some people get hot about headphones. What is your opinion on HD600 v HD650? I was generalising, so not necessarily aimed at you in particular. I'm done posting on this, I've given the heads up. No, but the website clearly states it's a refurb site. And the IE80 are class B (or something like that). Also, how do you know yours weren't resealed? Mine weren't, as stated in the post. You should point out these are refurbs. Got kine during the week and the Bluetooth is fine but when you put the wire in, there is a lose connection someone and sound only comes out of one ear or not at all so sending back. Very disappointed. I don't have any beeping problem with mine either. I just hear the beep when changing volume. Quality wise I'm not really happy, I really like Sennheiser sound signature, i own an hd598 and a few other ones. Don't get me wrong this 4.40 doesn't sound bad at all but they don't sound like a 100£ headphone... 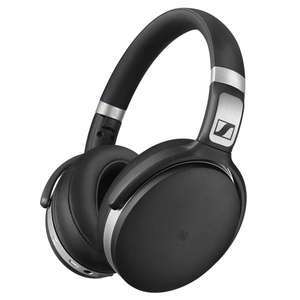 They are ok for a Bluetooth headphone but not impressive, really bad soundstage. Compared to the hd598 this ones feel like cheap generic headphones. I'm gonna use them for work so I don't mind. Based on my experience with Sennheiser products i was expecting something better, much better. Also, they are not very comfortable to use. It's not like you can't wear them for hours but you can feel that you are wearing them all the time. The volume on the headphones is independant to your device. Have you checked that? Got mine yesterday, found the volume a bit on the low side for me any suggestions? 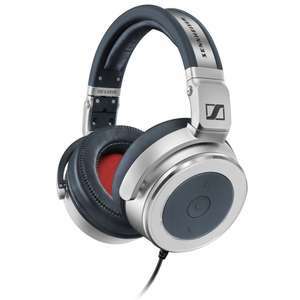 25% Off for Students @ Sennheiser via Unidays - Limited Time. Valid till the 31st of Jan. Trying to find this out as I have a unidays account, but can't find anywhere to enter the voucher code? Just bought. Thanks OP. Still was £84.95 at checkout tho. link to the Sonys and Bose pls at close to this price? Got them for £32.80 using Blue Light Card. Much appreciated. If you're a member and have a Blue Light Card, you can get an extra 20% off. Thanks OP, just ordered. For those saying 4.50 BTNC are better, that's only if you are wearing in a noisy environment. If wearing in quiet surroundings these are just a good, if not better. Idiot question here: to get these to work with a PS4 do I need to get a Bluetooth dongle for the PS4 USB port...will that do it or are these not suitable for that purpose or is there something else I need to do? They're obviously not for me or I would know this kind of thing! Plus I've already bought them so a bit late asking now! Did not get mine 10%...what to do now?!... (skeptical) waited since then! Most music players have an equalizer function. you can use that to tailor the sound to your taste. I appreciate some people do not like to us a graphic equalizer as it adds another process to the sound. 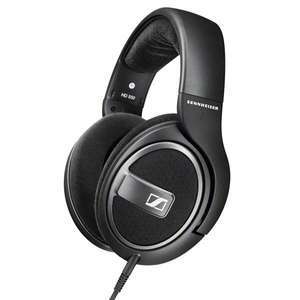 Sennheiser for me always have a good sound profile, so are neutral, however these do have a deep and powerful bass and go loud - too loud at the highest volume setting, although this depends on how the music was recorded. I have done a lot of experimenting to get these to sound as good as my wired headphones and have finally achieved it with a music player with a reverb function - NRG player, which is free, as well as having a graphic equaliser also allows you to change the reverb. This opens up the sound. I use NRG player which is free and has a reverb facility. Use this and the sound opens up to sound like a wired headphone. Without this they are good but not sparkling. Received mine brand new box with brand new headphones inside. Have not tested them as yet but they certainly look brand new and you can't beat the price! I cant blame you these are impossible for the standard to big Ears :) works ok for me plus Apt-X is a big plus ! Yep, same here. Mine could also be on their way back. They sound pretty good but just hurt my ears. I'm struggling to figure out why that'd make the ear pads so small.